The company has struck agreements with New Azilian and Equigold, following the delivery and de-risking of Mothae, which commenced commercial operation in January 2019 having already produced five 50-plus carat diamonds. 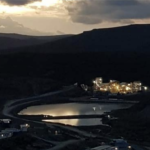 The agreements will reduce Mothae development debt facility with Equigold ahead of schedule, along with other obligations, while also supplementing working capital, according to Lucapa. The funds from New Azilian are said to provide Lucapa and Mothae with flexibility on the scheduling of future diamond tenders to maximise diamond revenues. New Azilian will enter into a $10 million one-year loan facility at an interest rate of 10 per cent a year, payable quarterly. Lucapa and New Azilian will also have the right to convert 50 per cent of the interest payments into ordinary fully-paid Lucapa shares under a standard volume weighted average price calculation. 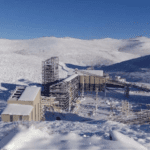 Lucapa said it will use the New Azilian funding to pre-pay two quarterly capital repayments (around $2.6 million) of the of its Equigold debt facility. Equigold has agreed to waive early repayment fees in the loan agreement as part of the refinancing. Also, Equigold and Lucapa have agreed to bring forward the right under the loan agreement for Equigold to convert a $2.6 million quarterly capital repayment into ordinary fully paid Lucapa shares. The net effect of the quarterly capital cash pre-payments and conversion will see the Equigold debt facility reduced to around $10.5 million. The next tender of Mothae diamonds is scheduled for the second quarter of 2019 in Antwerp. 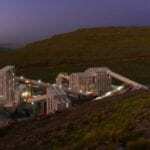 Lucapa managing director Stephen Wetherall said he was delighted the successful commissioning of the new Mothae diamond mine had drawn strong support of New Azilian and Equigold. “The successful delivery and de-risking of Mothae has added a second high-value asset to Lucapa’s growing diamond production base,” he said. “These new refinancing agreements will provide Lucapa with added financial strength to continue to build our strategic position in this niche high-valued diamond sector. 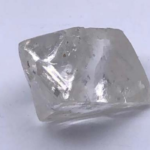 Lucapa is a growing diamond company with high-value mines in Angola and Lesotha, along with exploration projects in Angola, Australia and Botswana.